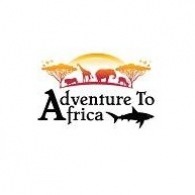 All Adventure to Africa tours, river cruises, expedition cruises, and adventure trips. Find the best guided trips and expert planned vacation and holiday packages. Average rating of 5.0 for all Adventure to Africa trips. Luxury Safari in one of South Africa’s most game rich areas. Drive along lesser known paths through huge private concessions and reserves. Exclusive accommodation along the route is mostly in private areas away from the more crowded public areas. Use of private access gate to Sossusvlei allows for early access in the morning – thereby improving photographic opportunities. Track the rare desert-adapted elephant following ancient paths to their freshwater springs.